Twitter is a powerful professional learning tool. Thousands of Physical Education teachers from all over the world are already using Twitter to share ideas, collaborate and learn together to improve their Physical Education programs. Using Google Forms teachers can create a more efficient and effective workflow. Collecting student information for sport selections, carnival entries and unit reflections can be done instantly, easily analysed and organised to suit your needs. 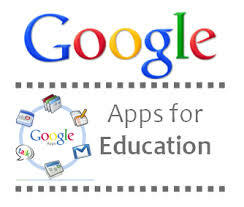 Google Apps For Education (GAFE) is a suite of powerful applications. The entire ecosystem breathes the key aspects of 21st Century Learning & Teaching qualities; create, collaborate, communicate, capture and connect. By incorporating the native GAFE tools into my role as a PE Teacher I have developed a more efficient and effective workflow. I do all my planning in Docs. This is fantastic as it allows me to access the latest version of documents where ever I am and on any device. Being able to access my planning documentation on my iPad or iPhone means I can check lesson details between classes and when on the run. I simply share my planning with the school leadership team so they always have an up-to-date copy and can give me feedback. I absolutely love Forms. PE Teacher’s are always collecting information from students. This use to mean receiving piles of paper with student information needing to be collated into a manageable format prior to events. Using Forms, I create the template and questions, send out to students, and all responses are presented neatly in a Spreadsheet as soon as submitted. I then manipulate this data to put together start lists, teams etc. Literally saving myself hours! Having students self assess themselves and their peers is a great way for them to take ownership and independence of their learning. I ask questions aligned with the learning intentions and success criteria for the lesson / unit. I use a variety of scale, checkboxes or choose from a list question types so students have to decide where they sit on the continuum. Students use an iPad to fill in what they believe to be a true indication of the skill performance. Again, once submitted this is instantly sent to a Spreadsheet in my Drive for me to view. Honest teacher feedback from students is one of the biggest indicators to continually develop and improve teaching pedagogy. Setting up a Form for students to give lesson feedback enables myself to reflect on what I can change, improve, continue to do that engages and gets the most out of the students. When using Forms, I combine it with the power of Autocrat. Autocrat is a Script that merges cells from the Spreadsheet into a Doc template that is then emailed to the student. All completed instantly when the student submits the Form. This allows the student to have a record of the sports or events they have selected, assessments, or feedback. Depending on the purpose, these Docs can then be used in students blogs and / or portfolios. 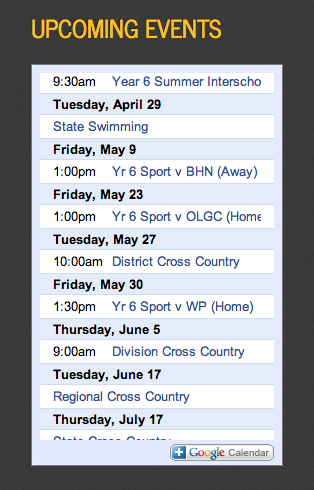 I use Calendar to inform the school community of upcoming sporting events. I don’t actually share this, instead I have embedded it into the PE Blog. Students and families are able to view in agenda form a list of dates of events. When an event is clicked on more details drop down with further information including exact times and venues. On each of the PE iPads is the Google Drive app. Any photos, video analysis or work completed by the students can be saved directly to their individual GAFE account. Students can then access these files from any device and complete assigned tasks. These are some ways I have used GAFE in my Physical Education program. The possibilities of what you can achieve is very much up to your imagination. The reduced workload and improved workflow is what make GAFE such a great set of tools. How are you using Google Apps For Education in your Physical Education program?